Both literally and figuratively, our hair is the glory of our looks. Long, gorgeous, and healthy hair are the dream of each girl. In fact, most women own dull and lifeless hair. Several causes of this condition are our hectic and modern lifestyle, bad habits or genetic factors, which include pollution and stress every day. Weak hair can become more beautiful and have vitality if we know ways to care and protect it. 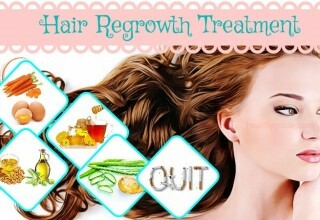 Promoting hair growth and maintaining long hair are not done only in a day, but in a long period of time. Getting long hair requires a proper hair care regimen which is applied regularly. Therefore, in this writing, Healthyguide.com will mention top 27 useful ways on how to get long hair fast and naturally to you. They are easy and simple to follow and you can do them at home to speed your hair growth faster. Keep reading to discover the best way which is suitable to your condition! You firstly crush a banana in a small bowl. Then you make a banana mask by adding an egg, 2 tablespoons of honey and one tablespoon of milk to it and mixing it well. Now, you make your hair slightly wet and start applying the mask on all your hair. You keep it on for about 40 minutes before using a shampoo. Fenugreek seeds are known as an effective way on how to get long hair for men and women. They have the ability to help your hair grow and protect the natural color of the hair. This herb also aids in reducing hair loss, oily scalp as well as dandruff thanks to its nicotinic acid and proteins. You take 2 to 3 tablespoons of fenugreek seeds and soak them in water overnight. In the next morning, you take them out and grind them well. Then you add an enough amount of whole milk or coconut milk to it to make a thick paste. Now, you apply this paste from roots to tips of the hair. Finishing by washing your hair after about 30 to 40 minutes. Alternately, you can use water of fenugreek seeds as a hair rinse to get healthy and long hair. 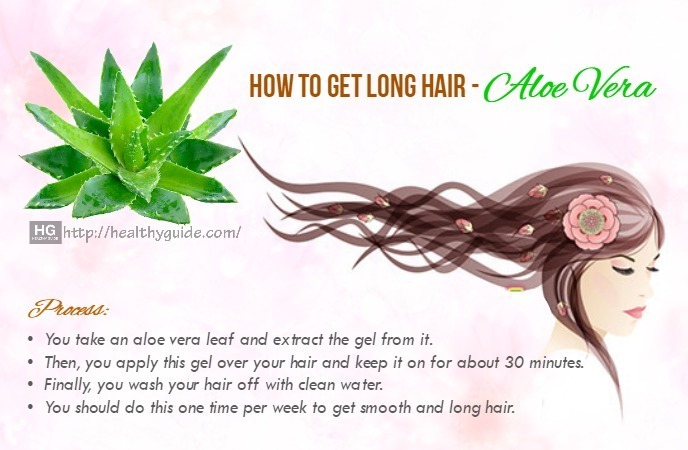 As you know, aloe vera is widely used in a lot of beauty remedies. Absolutely, it is very good for your hair. It contains an abundance of vitamin A, B, and E which make your hair thicker and longer. Then, you apply this gel over your hair and keep it on for about 30 minutes. Finally, you wash your hair off with clean water. You should do this one time per week to get smooth and long hair. Making the egg mask is one of the natural and wonderful ways on how to get long hair for women and for men fast due to its healing properties. In addition, eggs are rich in nutrients and minerals such as protein, selenium, iron, sulfur, zinc, and phosphorus which are useful in growing your hair. 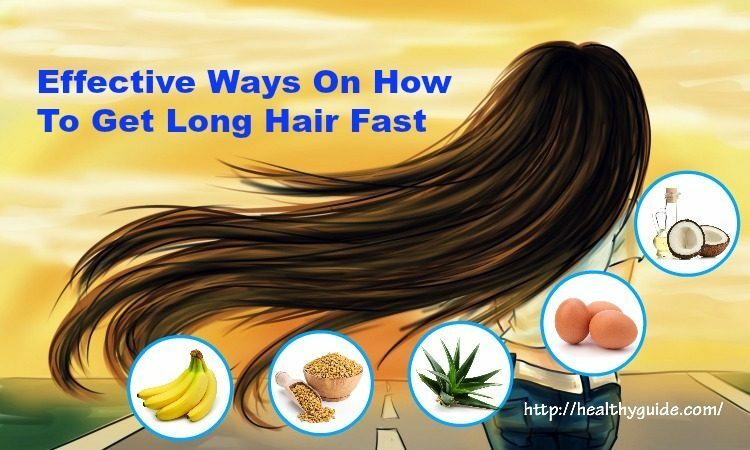 There are several following remedies to get long hair longer naturally with eggs. You should apply one of the egg hair masks at least a time a month. This will give you shiny and smooth hair. At the first, you whip an egg in a small bowl. Then you add a few drops of lavender oil and 3 tablespoons of grapeseed oil to it. You mix it well and gently massage your hair and scalp with the mixture. You keep it on for about 30 minutes to do its work. Finally, you wash your hair off with shampoo as usual. You add 2 egg yolks and 2 tablespoons of olive oil into a bowl and mix it well. Then you cover your hair and scalp with this mixture and gently massage for 20 minutes. Now, you wash it off with cold water and then shampoo the hair as usual. Firstly, you whip an egg in a bowl and then add one glass of milk, 2 tablespoons of olive oil and a teaspoon of lime juice. You mix it and apply this solution over your hair and scalp. You massage your scalp gently and keep it on for about 20 to 30 minutes. After that time, you wash it off with cool water and shampoo the hair. As you know, coconut oil has so many health benefits and is one of the popular ingredients which are used to care face, skin, and hair. It aids in stimulating hair growth and makes your hair stronger and thicker. This is the reason why using coconut oil is one of the best ways on how to get long hair for men and women. It is useful in getting rid of dandruff and bringing instant relief from itching scalp. First of all, you take an avocado and blend it to make a paste. Then you add a teaspoon of warm coconut oil to this paste. Now, you start applying the mixture from roots to tips by using your fingers. You do this procedure for about 20 minutes before washing your hair off with clean water. 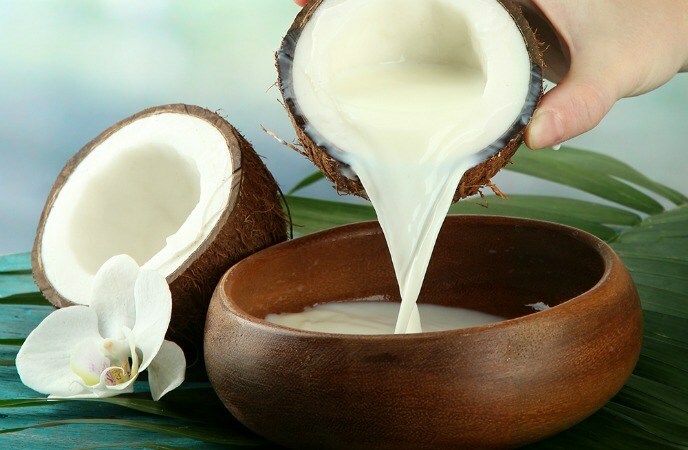 Another effective way on how to get long hair for women and men is to use coconut milk. Because it is a great source of potassium, iron and essential fats, it is helpful in growing your hair naturally and giving you soft and strong hair. You firstly prepare a fresh coconut and take coconut milk from it. You make a mixture including 3 to 4 tablespoons of coconut milk, 2 teaspoons of lemon juice and a few essential lavender oil drops. Now, you mix it well and apply it over all your scalp. You massage gently and keep it on for 4 to 5 hours. Finishing by rinsing your hair off with clean water. If you are finding an easy and simple way on how to get long hair naturally and fast, using Indian gooseberry is the appropriate answer for you. This magical fruit is rich in nutrients. It is also a plenty of Vitamin C which aids in accelerating hair growth and preventing hair pigmentation. In a pan, you heat 2 teaspoons of coconut oil and then add 2 teaspoons of Indian gooseberry powder. You continue to heat the oil until it becomes brown. Now, you allow the oil to cool. After the heated powder has settled, you collect this oil in a small bowl. Next, you apply it on all your scalp and hair while it is still warm. You gently massage the scalp for 15 minutes and keep it on for more 30 minutes with. Finally, you wash the hair off with a shampoo and lukewarm water. There are so many effective ways on how to get long hair naturally and using flaxseed oil is one of them. This oil is an abundance of vitamins, minerals and fatty acids that give you healthy hair. Regularly applying flaxseed oil is able to promote hair growth fast and prevent additional loss of hair. 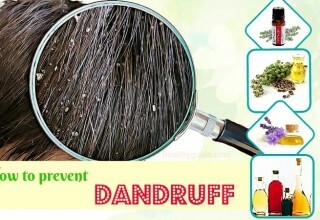 In addition, it has the ability to eliminate dandruff as well as flakiness on your scalp. Flaxseed oil also assists in maintaining the moisture content in your hair. This will make your hair healthy and lustrous. You add 2 two teaspoons of flaxseed oil to a pan and heat it. While the oil is still warm, you apply it on your hair and massage it gently for about 20 minutes. Then you wash the hair off with a shampoo and warm water. 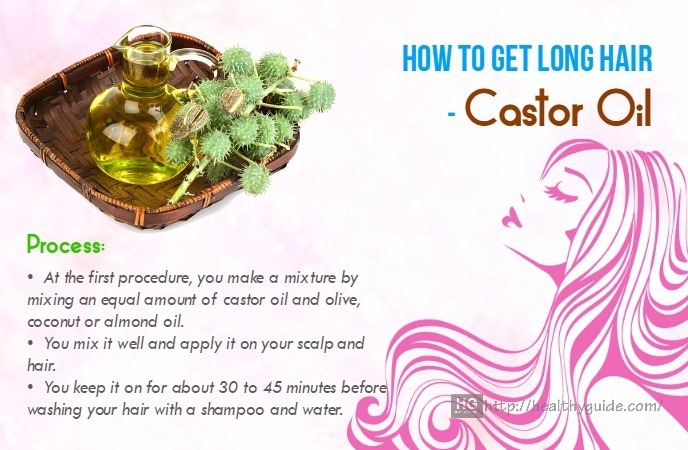 One of the best ways on how to get long hair fast is to use castor oil. Because this oil is a great source of vitamin E and fatty acids, it is capable of promoting hair growth naturally. Besides, castor oil is also beneficial in making eyebrows thicker and growing longer eyelashes. At the first procedure, you make a mixture by mixing an equal amount of castor oil and olive, coconut or almond oil. 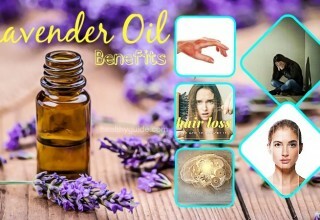 You mix it well and apply it on your scalp and hair. You keep it on for about 30 to 45 minutes before washing your hair with a shampoo and water. One of the top 27 ways on how to get long hair naturally is to apply onion juice. It is high in antifungal and antibacterial properties which are helpful in keeping hair loss at bay. This juice contains a great amount of Sulphur that can reduce breakage of the hair and give you long and smooth hair. Moreover, onion juice helps nourish hair follicles, recover lost nutrients and improve blood circulation on your scalp. First of all, you cut an onion into a few slices and squeeze out their juice. You keep it on for 10 to 15 minutes to take advantage of its benefits. Finally, you wash it off with a shampoo and warm water. As you know, apple cider vinegar has the ability to treat almost health issues. 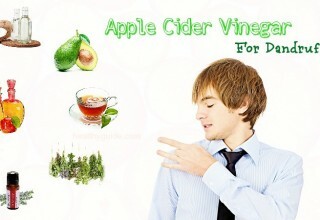 Using apple cider vinegar can cure a sore throat, diabetes, skin warts, bad breath, and much more. Besides, this magical vinegar is also one of the best ways on how to get long hair by promoting your hair growth naturally. The regular application of apple cider vinegar will give you long hair and make it dandruff-free and shiny. Firstly, you dilute 2 tablespoons of apple cider vinegar with 1 glass of warm water. Then you stir this mixture well and pour it into a spray bottle. Now, you shampoo your hair completely before spraying this homemade spray on all over your scalp and hair. You gently massage for several minutes and keep it on for more few minutes to make sure that the enzymes and nutrients in apple cider vinegar are absorbed into your scalp. Next, you simply rinse the hair off with clean water. Finally, you dry the hair and do this process 2 times a week to get long hair. 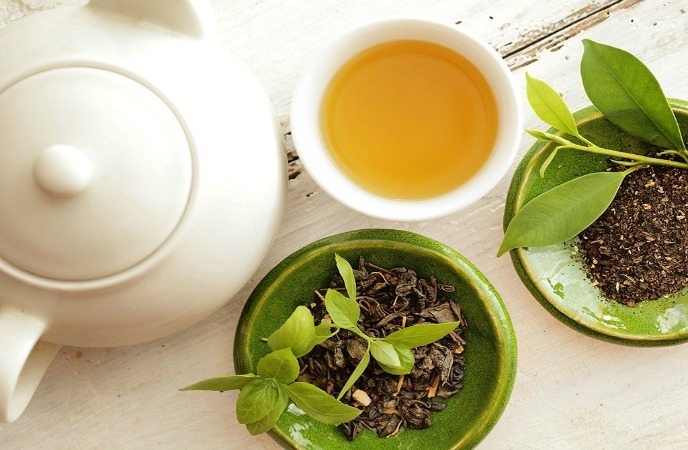 When it comes to the effective ways on how to get long hair, we cannot ignore the wonderful benefits of green tea. This tea contains a lot of nutrients and antioxidants which are known as caffeine which assists in stimulating hair follicles and encouraging them in growth. Green tea is also an excellent source of panthenol that is widely used in shampoos as well as conditioners to strengthen hair. Besides, it is rich in amino acids called as theanine which useful in make the hair shaft stronger and preventing split ends. The tea has the vitamin C and astringent qualities which aid in adding shine to hair and protecting the hair and scalp from harming the sun. You place a couple of tea bags in 2 to 3 glasses of hot water and let it cool down. Then you use the green tea water as a final rinse for the hair and scalp. Now, you gently massage for 20 to 30 minutes to promote hair growth, decrease hair fall and prevent dandruff. A diet which is high in protein, vitamins, and minerals will help healthy hair growth. Therefore, you should include many kinds of foods rich in vitamins A, C, and E, zinc, iron, copper, selenium, and magnesium. Particularly, Vitamin B-complex is very good for making your hair growth faster. Therefore, you eat a variety of foods such as milk, yogurt, cheese, chicken, eggs, whole grains, spinach, salmon, broccoli, bell peppers, parsley, cabbage, grapefruit, avocado, oats, alfalfa, and brown bread in your daily diet to strengthen your hair and scalp. In addition, you regularly drink fresh fruit as well as vegetable juices, such as grapefruit, orange, beet, carrot, and lettuce juice. The consumption of foods containing an abundance of fatty acids (omega-3) is also an amazing way on how to get long hair naturally for men and women because there is 3 percent of a hair shaft that is formed from the fatty acids. You should eat several foods such as fish, flax seeds, beans, walnuts, winter squash and olive oil. Along with eating a healthy diet, you can also take supplements such as biotin, folic acid, kelp, ginseng, flaxseed oil, fish oil, evening primrose oil, saw palmetto, ginkgo Biloba, and others to promote hair growth naturally. These supplements are a simple and fast way on how to get long hair for women and men because they will make sure that you get the essential vitamins and minerals to give your hair a wonderful chance of growth. Lack of water can result in dehydration that has a negative impact on the growth of hair. In fact, our body is composed of 60 to 80 percent of water. Hence, if it is not provided the enough amount of water to be able to maintain the health and reproduction of cells, they become dehydrated and directly impact hair growth. 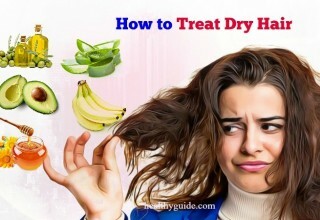 You can take hair vitamins and other supplements, but if you do not drink an adequate amount of water to provide the daily H­2O requirements of the body, the cells responsible for growing hair will be not able to do the function properly. As a result, the hair will become dry and stop the growth cycle of the hair. Therefore, you should drink at least 8 glasses of water every day. This is actually an easy way on how to get long hair for men and women you should not skip! Sleep is very important for our body. While sleeping, your body will recharge itself with electrolytes and replenish its energy. If this process is cut short, the immune system of your body is in disarray and starts becoming weak. Side effects of a weak body include hair loss. The hair roots will become weak and then hair easily falls out. This is the reason why there is the close connection between hair loss and sleep. Therefore, taking a proper sleep is one of the easiest ways on how to get long hair naturally and a healthy body. You should sleep at least 7 to 8 hours a day. Note that you do not sleep with a ponytail or tight braid because this will stretch your hair and result in hair loss as well as head pain. For a proper sleep, you flip the head down and brush your hair about 50 times. Then you make a loose braid or ponytail. You use a clean and soft pillow and a comfortable blanket to get a good sleep. Another way on how to get long hair for men and women is to massage your scalp with warm oil regularly. While massaging the scalp is helpful in stimulating blood circulation and growing the hair follicles, warm oil will do magic work by entering deeply into your scalp and hair, leaving your hair soft and shines. This will give you strong and long hair from inside. You make an oil mixture by adding an equal amount of coconut, almond, and olive oil (or whatever you want) into a pan. You make the oil mixture warm up by heating the pan for a few seconds. Now, you flip your head down and then apply the oil over your scalp and hair. Next, you gently massage the scalp for 10 to 15 minutes. You keep it on for 5 minutes before covering your head with a hot towel. You allow it to stay for about 15 to 20 minutes. Finishing by washing your hair with shampoo and using conditioner as usual. Do you think that trimming your hair only makes your hair shorter? In fact, this is a popular way on how to get long hair for women and men. When your hair is damaged and filled with split ends, this will inhibit the hair growth and make it weak by causing becoming thin and broken. Hence, trimming your hair regularly is able to avoid split ends, which is important for enhancing hair length. If you suffer from unhealthy split ends, you will feel them annoying and ugly, particularly, people with damaged or dry hair. Trimming your hair regularly is capable of reducing split ends and giving your hair good chance of growth. However, remember that you should not cut the hair too short or do this too regularly. 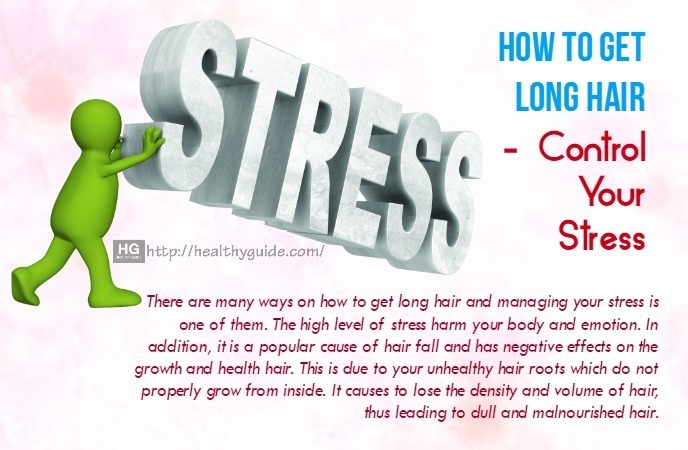 There are many ways on how to get long hair and managing your stress is one of them. The high level of stress harm your body and emotion. 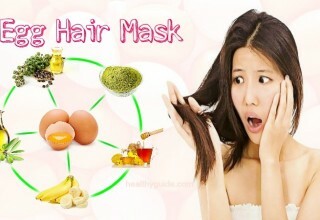 In addition, it is a popular cause of hair fall and has negative effects on the growth and health hair. This is due to your unhealthy hair roots which do not properly grow from inside. 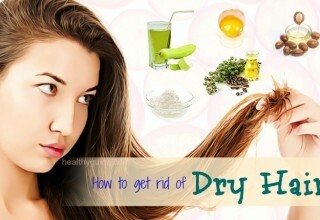 It causes to lose the density and volume of hair, thus leading to dull and malnourished hair. Therefore, you should control stress by practicing meditation, yoga, and exercises regularly. Besides, you can do something that is good for relaxing your mind, like listening to music or reading an interesting book. If your cotton pillow covers become old and faint, this is the time you need to replace them with new ones. You should use silk covers because they are smoother and result in less friction. This will help you wake up in every morning with the hair having fewer tangles and give you strong hair. Most women are believed that the way on how to get long hair is to brush it too often. Some others who think that this can cause hair fall and they avoid using a comb to brush their hair unless having explicitly required. However, it is the best that you should not brush your hair for more than 5 to 10 minutes a day. Brushing your hair within this period of time is beneficial in stimulating the scalp, releasing natural oils, and helping spread those oils down all the length of each hair strand. Make sure that you should gently brush, particularly when your hair is still wet. This will protect your hair from breakage or hair loss. A boar bristle brush is a special kind of brush which is made with natural fibers. These fibers are closely similar to the hair texture of us. It has the ability to pull sebum and the natural oil that is secreted by your scalp. This can protect your hair from harm factors and keeps it strong and healthy at the same time. First of all, you take a boar bristle brush and place it against your scalp. Then you rub it from roots to tips of the hair to massage your scalp and take your natural oil out. You keep doing this by stroking other same parts of hair until it becomes smooth and glossy. Just like your skin, when your hair exposes to the sun, it easily becomes ugly and unhealthy. Because every time that you go out, your head will expose to the dust and heat, they are responsible for losing moisture of hair. Hence, you always ensure that you should cover your hair with a hat and a scarf when you leave your house, particularly in dusty conditions or harsh weather. Applying a moisturizing conditioner after you wash your hair is one of the useful ways on how to get long hair naturally that you should make use. The conditioner aids in replacing proteins and lipids inside your hair shaft. It also helps seal the cuticle to make your hair growth longer. The regular application of the conditioner has the ability to help hydrate hair strands, recover damaged hair thanks to the removal process of frizziness and dullness. This creates beautiful hair by adding length, volume, manage ability, and shine to it. Several factors such as your shampoo cycles and water temperature when washing your hair have direct influences on the length of the hair. 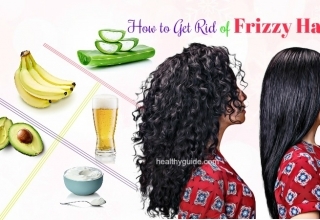 Always washing your hair and using hot water will make it drier and become brittle. This results in hair breakage and reducing the ability of your hair to grow longer and thicker. To get long hair, you should use the cold water to shampoo your hair and not do this for more than 3 times per week. 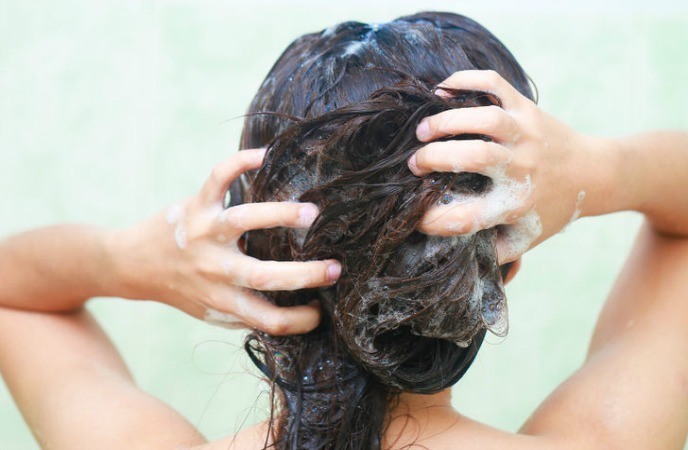 Even though, washing your hair a few times a week can make it look greasy, it is good for your hair and scalp. 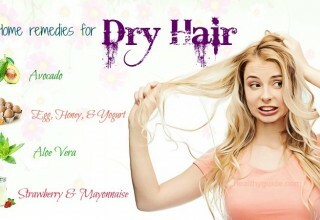 When it comes to the effective ways on how to get long hair, let your wet hair dry naturally in the air is the healthiest choice and good for your hair growth. Contrarily, Using a hair dryer to dry your hair will eventually weaken the hair shaft and cause hair damaged. Drying your hair with other heat styling tools such as flat irons, curling irons, and hot rollers also lead to the same results. After washing your hair, you should use a towel to pat the hair dry. Then you brush it with a wide tooth comb. Once it is done, you apply some conditioner and let it dry fully in the air. If you suffer from microbial infection in your scalp, this cause to weaken your hair follicles, harm the hair strands, thus leading to creating lifeless and unhealthy hair. 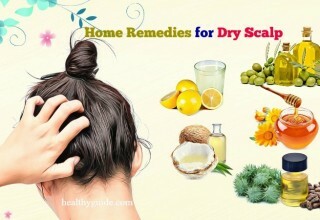 Moreover, it can result in scalp diseases such as psoriasis, seborrheic dermatitis, and eczema, etc. 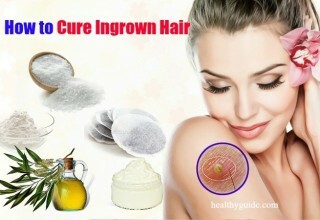 These diseases cause to inhibit hair growth and your hair will grow more slowly. Hence, cleansing your hair by applying antimicrobial products, clinical treatments or proper medication assists in promoting hair growth naturally. This is the last of top 27 ways on how to get long hair for men and women that you should know. The list of top 27 effective ways on how to get long hair for women and men that everyone who wants to learn about caring damaged hair and improve this condition should not skip! Regularly applying the mentioned ways is able to help you achieve desired results. If your hair does not have notable improvements after following the ways in a long enough time, you should consult a reputable expert to find the proper methods. For getting natural ways on how to deal with other beauty and health problems, please access our main How to page. Also, you can ask us to answer anything related to how to get long hair by leaving your question in the comment box and we will contact to you as soon as possible. Apart from how to get long hair for men and women, we hope that you can spend a little bit of time on reading another article named Top 19 Natural Masks For Hair Care published in our website. This article has a list of the best masks to help people in caring the hair naturally and effectively. 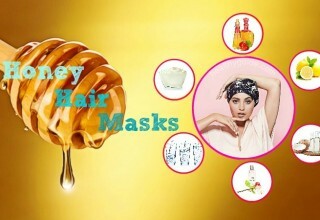 You can discover up to 19 natural hair masks which are cheap and easy to make at home. Hope you will be satisfied with our articles and let share them with your friends if you think they are useful. Thank you for supporting us!